Podi-Barbi is a gift of Miti-Mita (The Goddess of Earth and Water) and is an inseparable part of the socio-cultural life of Arunachal Pradesh. 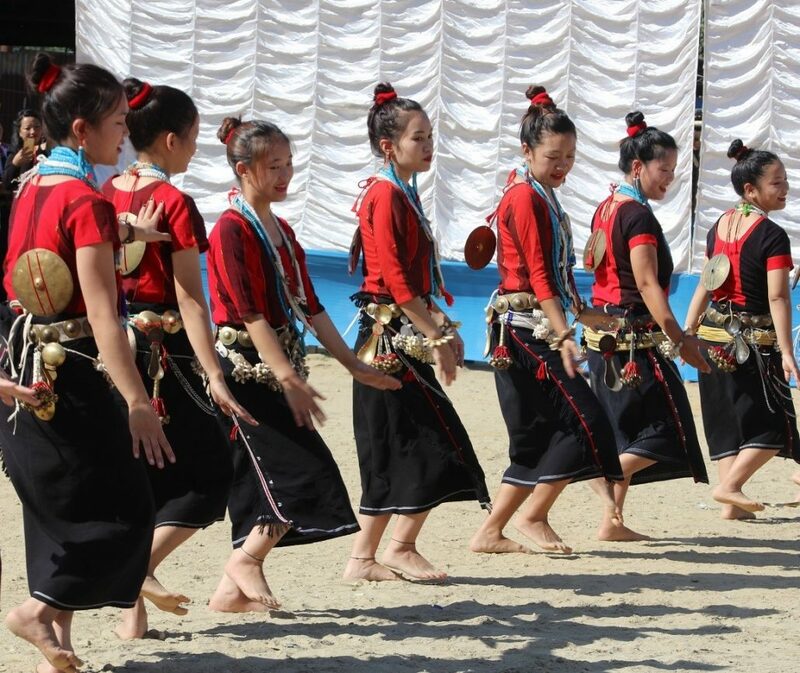 Adi community of Arunachal Pradesh celebrated annual post-harvest festival Podi-Barbi with traditional fervour and gaiety at the capital on Wednesday. The celebrations took place at Mopin-Solung ground in Itanagar under the aegis of Podi- Barbi Celebration Committee Itanagar-2018. Podi- Barbi, is one of the most popular festivals of the Boh Bokar Ramo communities (sub-tribes of Adi) residing at Mechuka, Tato and Monigong region of the newly created Shi Yomi district. The festival is celebrated by the community as thanksgiving to deity and Mother Nature for prosperous and surplus production of crops. BJP State vice-president Tame Phassang who attended the festivity as chief guest, lauded the Adi community for up keeping its rich culture and tradition intact. Terming cultural promotion and preservation as an important aspect of the tribal communities, Phassang called upon all the other communities of the State, especially its younger generation to preserve one’s age old culture zealously. “We have to emulate this practice to preserve our indigenous dialects,” he said while appealing the other tribes to follow suit. Extending his festival greetings, RWD superintendent engineer, Getom Borang in his speech as special guest stressed on preservation of culture and tradition. He appealed the youths of the community to uphold their traditions, while moving simultaneously with modernity. Further while highlighting the mythology of the Podi Barbi festival, Borang urged the gathering to maintain its sanctity at all times. Mechuka MLA, P D Sona appealed to Adi community leaders to be the torch bearers for others.